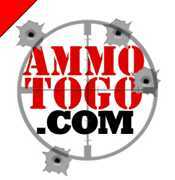 Our local Ammo Place - AmmoToGo.com - Based here in Brenham Texas! Following a rich Texas tradition, the people at Ammo to Go enjoy the outdoors, hunting, fishing and adventure. The owners Jason and Jennifer Smith are avid hunters who enjoy hunting deer, dove, and ducks, some of the most popular game animals in the area. The couple even had a hunting honeymoon together! Everyone at Ammo to Go enjoys using the products they sell, and their specialty is making it easy for their customers to get the ammunition they need quickly.